Pre-owned, Jaeger-LeCoultre Reverso, 44 x 26mm rose gold case with black leather strap, white dial with retrograde power reserve, date and small seconds, sapphire crystal glass, see-through case back, black leather strap with rose gold deployment buckle. 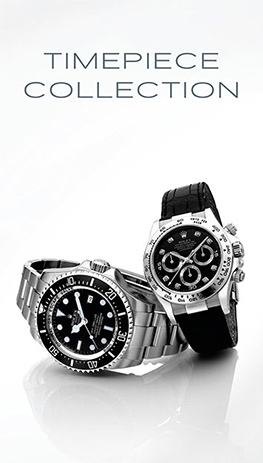 Full Set of has original box and papers including 12-month mechanical warranty. 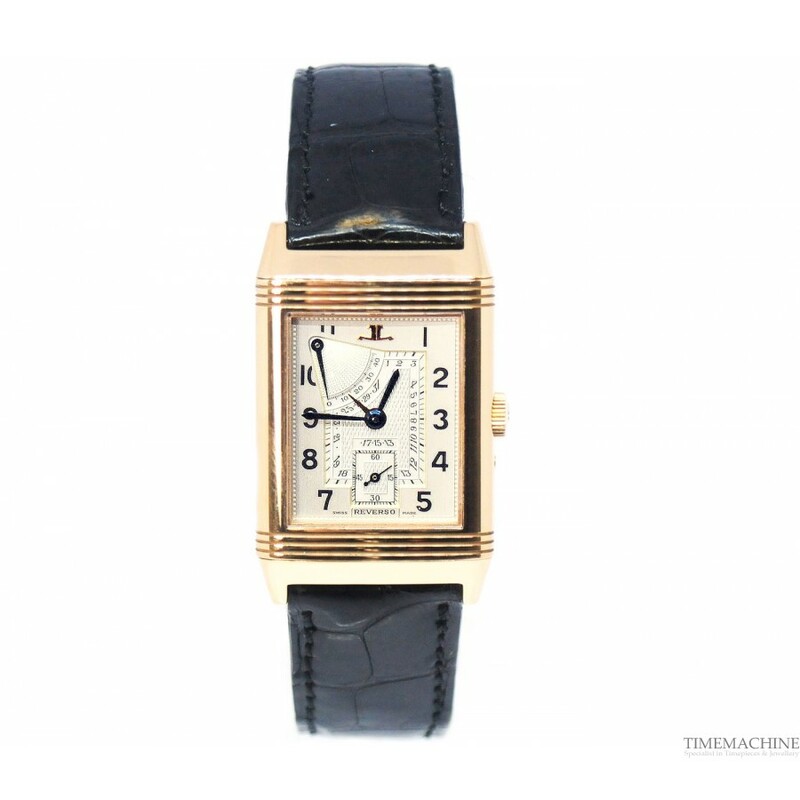 Please Quote 2877 in all communications with us regarding this Timepiece. 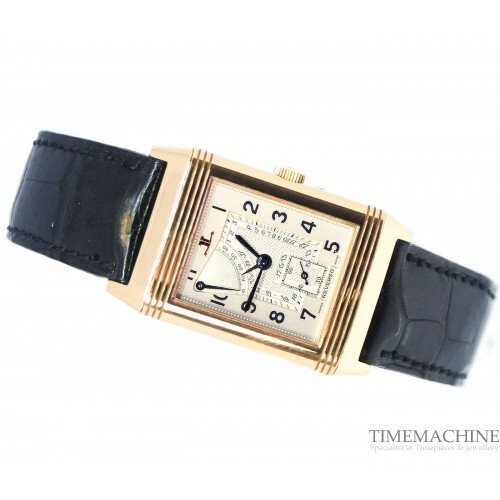 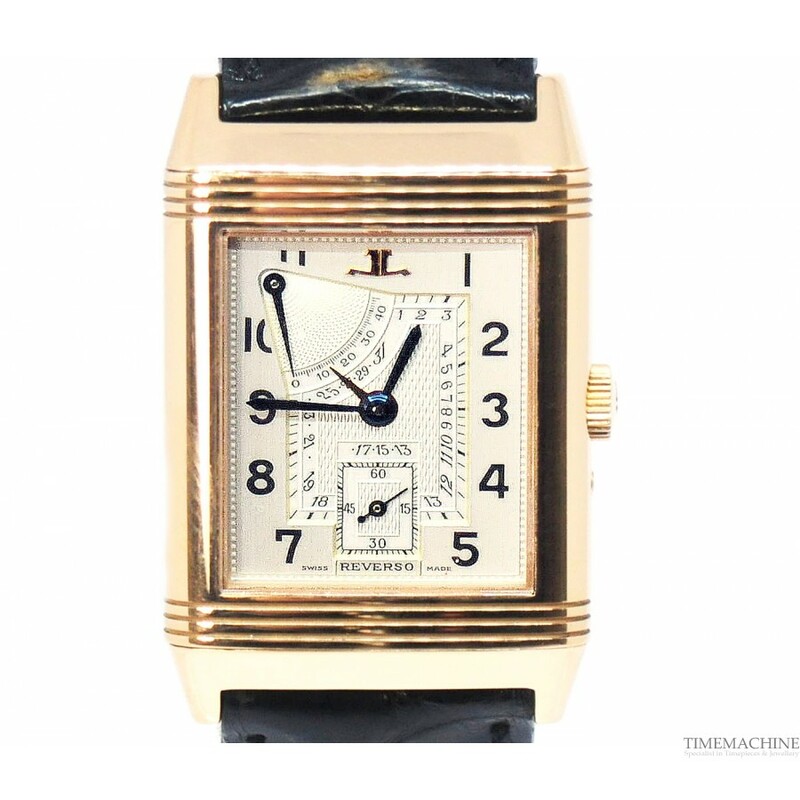 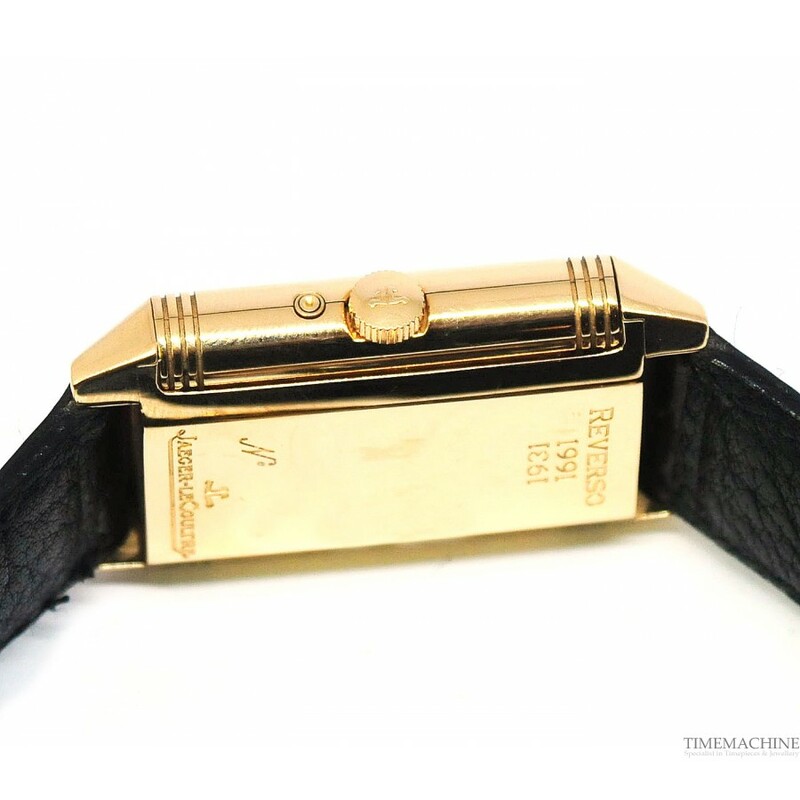 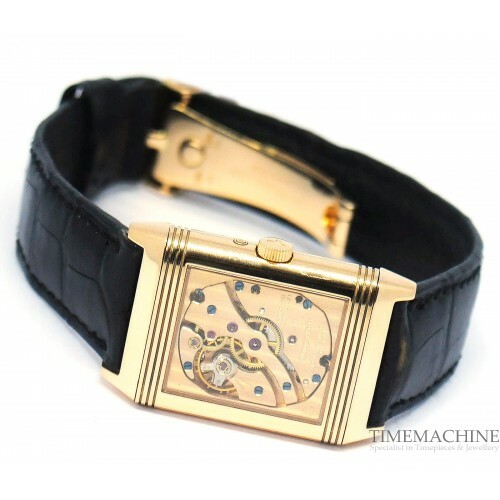 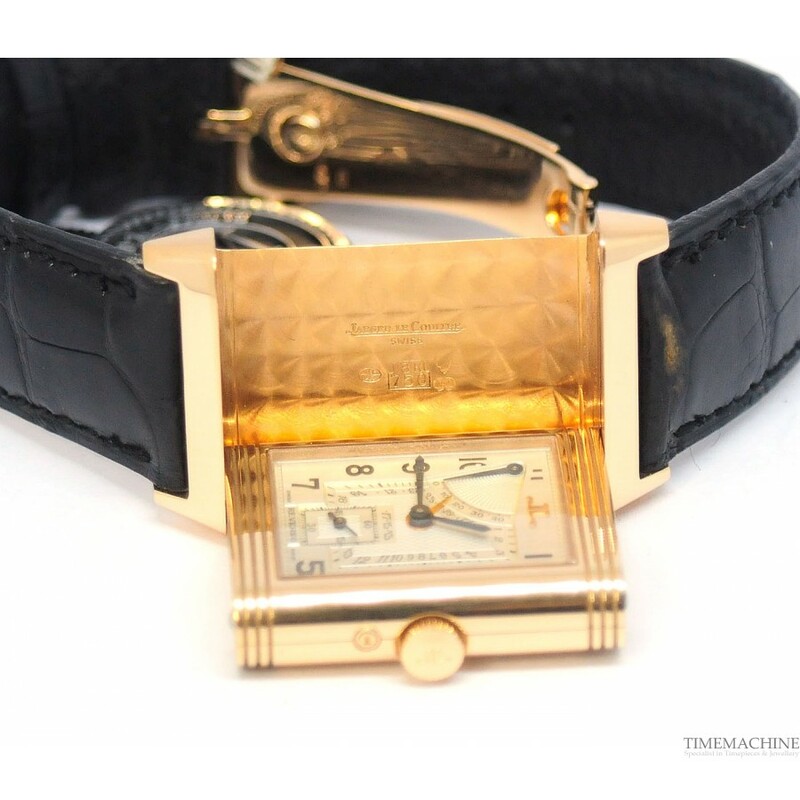 Jaeger-LeCoultre, "Reverso 60th Anniversary - 1931 1991" made in a limited edition of 500 examples in 1991. 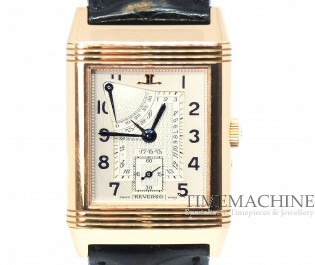 It is one of the very fine and rare watches from Jaeger-LeCoultre.